The firm's original estimate of its UK cyber-theft victims, made last month, was fewer, at nearly 400,000. It admits they may be at risk of "possible criminal activity". Patricio Remon, Equifax's chief European executive, said: "Once again, I would like to extend my most sincere apologies to anyone who has been concerned about or impacted by this criminal act." Nearly 14 million further UK records were stolen, but they contained only names and dates of birth. 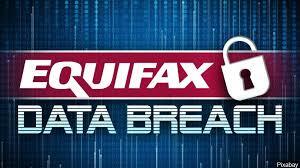 The huge data breach was part of an attack on the firm's world-wide customer records in which the personal details of 146 million people in the US were stolen, along with 8,000 Canadians. The scandal led to the resignation last month of the company's chairman and chief executive, Richard Smith.